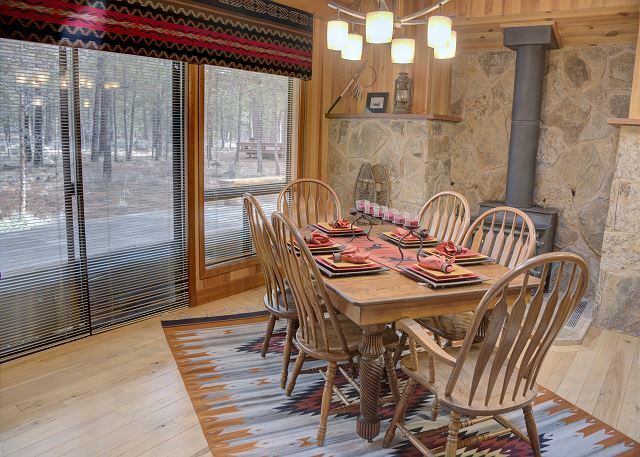 This Black Butte Ranch cabin (RR#67) is 1,454 sq. 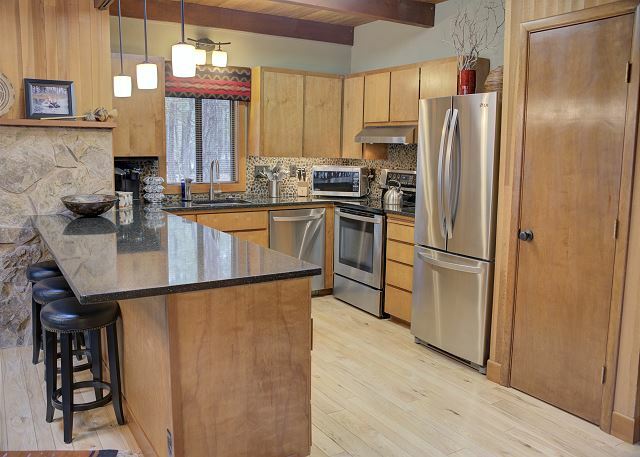 ft. of charm, centrally located between the South Meadow and Glaze Meadow Recreation Center. Lodge decor with log furniture and Pendleton fabric accents add to the appeal of this home. Off the entry is a spacious, recently updated, and inviting kitchen that is well-equipped, with miles of counter space at the eating bar. The cook will never feel left out as it is open to the dining and living areas. The dining table sits 6 and the overflow can sit at the large eating bar which seats 3-4 comfortably. Light up the wood stove in the dining room on those cool evenings for a cozy dining experience. The living room has comfortable leather furniture with log accents and lodge decor. The larger television and dvd will keep you entertained after long hours recreating. The wireless internet will keep you in touch with family and friends. 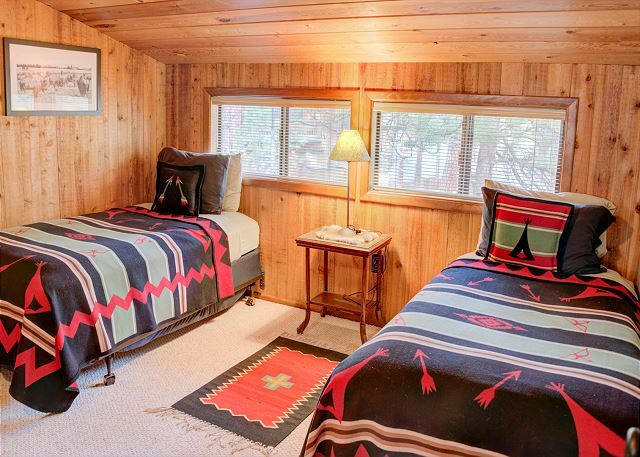 There is also a queen bedroom downstairs with log accents and bathroom in the hallway. You and the kids will love the convenient, central location. Go west and it's just a short distance to the South Meadow Pool area. Walk or bike south the short distance to the Glaze Meadow Recreation Center. Enjoy the spacious, wrap around decks for sunbathing, day dreaming in the porch swing or evening BBQ's with the family. 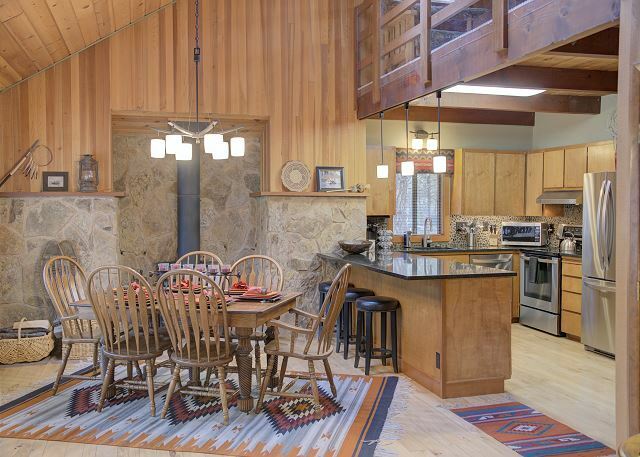 All in all, this is the perfect Black Butte Ranch retreat. Rooms Sleeps 8, Main floor has 1 bedroom with Queen and full bath with tub and shower. 2nd floor has 1 bedroom with 2 double beds, 1 bedroom with twin beds, and 3/4 bathroom with shower. We had a wonderful time for our end of summer get away. The ranch is beautiful and our home was a great location. Very happy to hear you enjoyed your vacation at BBR! Hope to see you again next year. Rock Ridge met my expectations and more! This lovely property's location is private and yet close to Glaze Meadow and South Meadow pools. The kitchen is well equipped and the decor tastefully done. 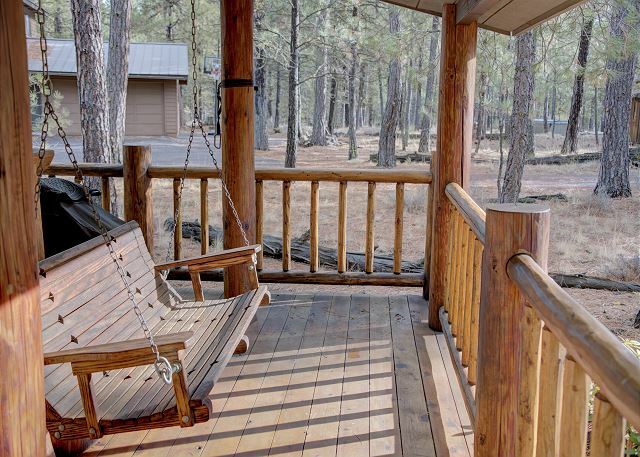 I highly recommend you consider this property for your next visit to Black Butte. Family time sans really is possible. Two weeks of fresh air, cycling, hiking, boating, swimming and enjoying healthy meals together. Plenty of time to nap and take time out from what is our typical hectic pace. Couldn't have enjoyed the cabin more. Just right space, supplies, amenities to feel taken care of while still entrenched in the great OR outdoors. Truly a wonderful vacation home. Nice floor plan, great deck and lots of anything you need.